The income earned in the name of minor is taxable in the hands of the parents whose income is greater, before adding such income of minor. I invested in minor PPF and Sukanya Samriddhi Yojana Account and got exempted interest of Rs 1,500. I invest-ed in taxable FD in name of minor earning interest of Rs 1,500. Net income from minor investment is Rs 3,000 exempted and Rs 1,500 taxable. How should I show it in ITR and will there be any tax liability? The income earned in the name of minor is taxable in the hands of the parents whose income is greater, before adding such income of minor. Such income shall be shown under the head ‘Income from other sources’ and exempted income shall be shown under exempted income. You have stated income of up to `3,000 is from PPF and SSY which is exempt and `1,500 is earned as interest from FD. Income of minor included in the income of the parent is exempt under section 10 (32) of the I-T Act up to `1,500 per minor child. Hence, there will no tax liability in your case for these incomes. l On retirement, my father received some tax-free emoluments like gratuity, leave encashment and commuted pension, . He also got salary income, pension and interest from bank. Which ITR form should he use? Is tax-free amount on retirement to be reported? As your father has salary and interest income and assuming that he is a resident in India, he has to file his return in Form ITR 1. Tax-free amount received on retirement must be reported in ITR. l I am a government employee. I have a house from savings and home loan on which I claim tax deductions for interest. I have a second home with another loan. Can I also claim interest deductions on second home loan? Yes, you can claim deduction of interest on both home loans but maximum deduction for self-occupied house is `2 lakh. If the property is rented then you can claim deduction of the whole interest amount. If the new house is vacant or used by you, you have to include notional rent of the property. Total loss amount from house which can be set off against income is restricted to `2 lakh in a year. If it exceeds `2 lakh then excess loss can be carried forward for next eight years. Also, you can claim deduction for repayment of principal under Section 80C up to `1.5 lakh. 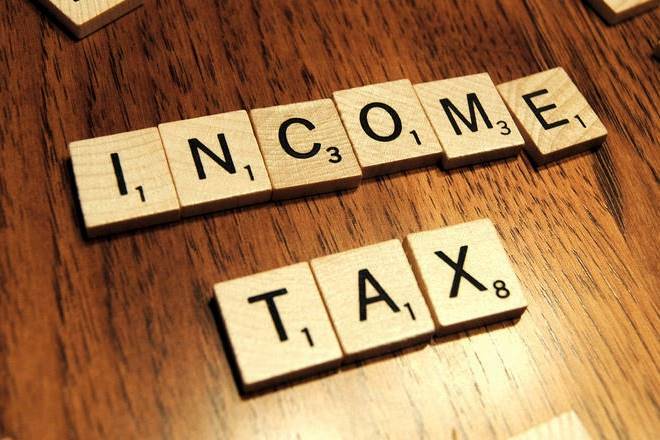 Since you have salary income and two houses, you must use Form ITR 2 to file income tax return of AY 2018-19.